As Director of Finance, Becca Shane brings 12 years of accounting and finance experience to Hamilton Place Strategies operations team. She is responsible for corporate finance, accounting, and tax. Most recently, Becca was Accounting Manager at Sands Capital Management, an investment management firm where she managed a team and was responsible for day-to-day corporate accounting operations. 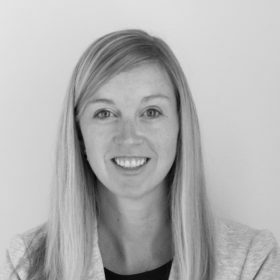 Prior to Sands, Becca’s experience consists of roles as Manager of Fund Accounting at The Carlyle Group (Nasdaq: CG), Fund Controller at Perseus LLC, Associate at MCG Capital Corporation and Senior Auditor at Tate & Tryon CPAs. Her skill set includes management, financial reporting, corporate accounting, fund accounting, software implementation, internal control, tax preparation, process improvement, financial analysis, and auditing. Becca received her bachelor’s degree in accounting and finance from the University of Pittsburgh. Her professional credentials include Certified Public Accountant (CPA) and Certified Global Management Accountant (CGMA). She resides in Washington, DC with her husband.